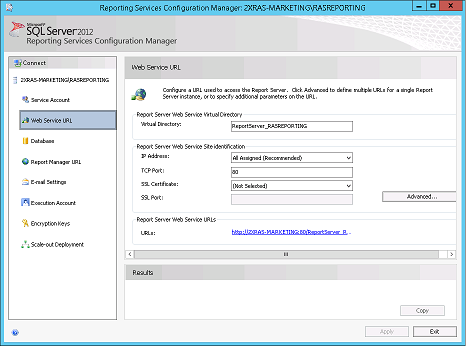 Open the “Reporting Services Configuration Manager” . Go to “Web Service URL” and change the “TCP Port” to 8085. Click Apply. 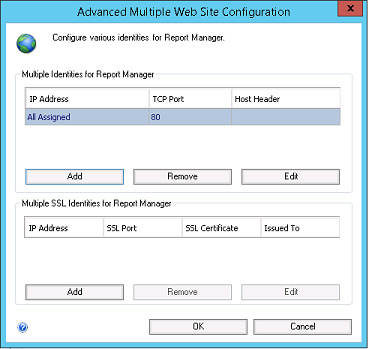 Next, go to “Report Manager URL” and click “Advanced”. 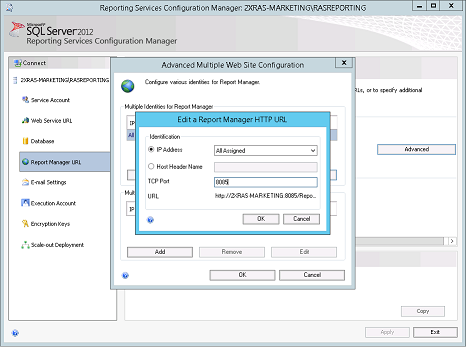 From the “Multiple Identities for Report Manager” section, click “Edit” to bring up the “Edit Report Manager HTTP URL” window. From this window change the “TCP Port” to ‘8085’ and click OK. Also click “OK” on the “Advanced Multiple Web Site Configuration” window to apply the settings.